Christmas is the most wonderful time of the year. A time to be with family and friends, decorating the tree to eating good food and finally yes, the presents! Everybody loves homemade Christmas gifts because there is nothing wonderful than something that comes from the heart. Make some of the homemade crochet Christmas gifts to warm the hearts of family and friends. 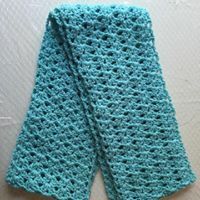 Here are some of easy to make crochet Christmas gifts.